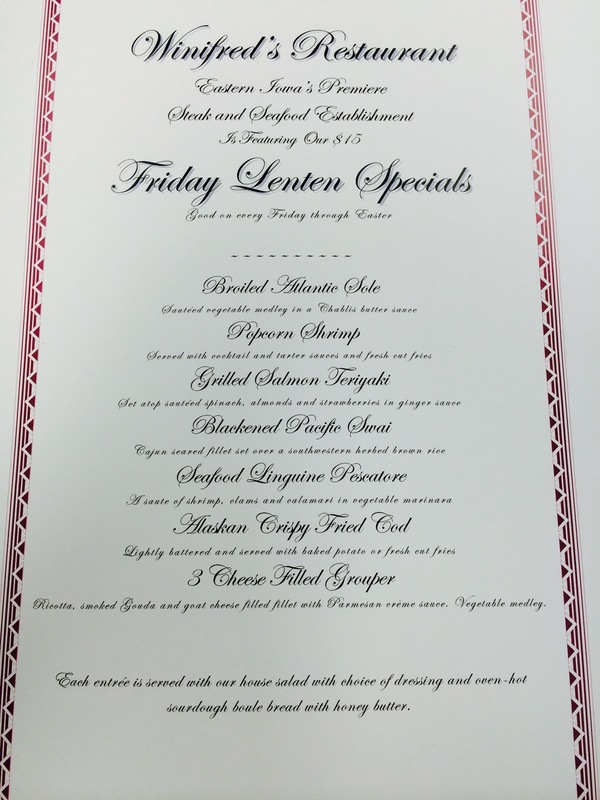 Here are the Lenten specials we offering this year. Available every Friday until Easter. Each Lenten entree is priced at $15.